In 1998, Zenon Dragan and his team created a remote control flying saucer with a helium balloon and fan motors for a “fun, cool thing to do.” The experiment evolved into the world’s first quadcopter, a small helicopter with four rotors. The team added cameras to the quadcopter and tackled the challenge of keeping the cameras steady, despite the drone’s movements. 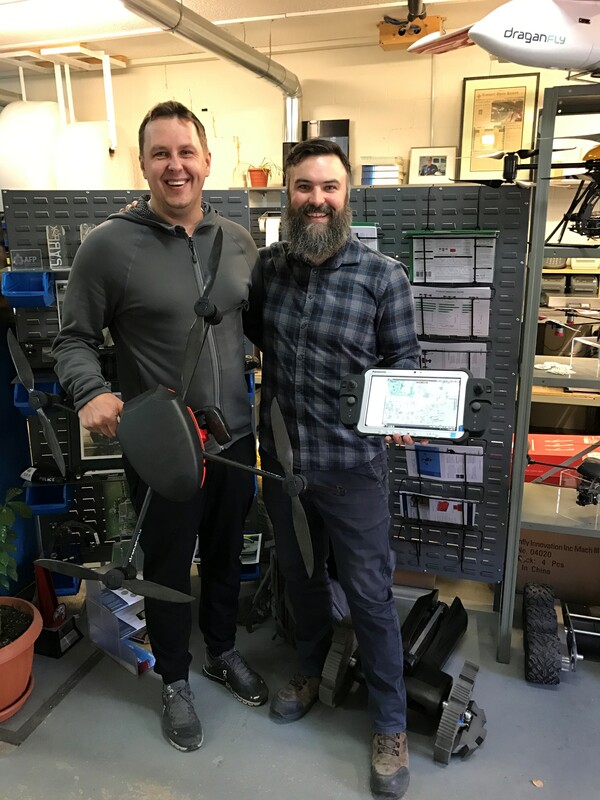 When the team launched a drone with six rotors, Dragan relates, “The Draganflyer X6 changed the drone world. Not only was it the world’s first six-rotor helicopter, it also started the small unmanned aircraft market.” The drone was the first North American Federally Approved UAV legal for use by emergency services in North America. The drone became famous when it was the first unmanned aircraft system to save a human life. There was a single vehicle rollover in St. Denis, Saskatchewan and the driver wandered away. In addition to search parties and helicopters, the police also sent up a Draganflyer with a thermal camera. They were able to locate the driver. “The doctor’s said he was an hour or two away from dying of hypothermia,” shudders Dragan. “They are being flown as far north as the Arctic and as Far South as Australia and Antarctica,” smiles Dragan. The Saskatoon-based company is continuing their exploration into new drone applications by creating solutions for companies to include plant phenotyping and imaging for researchers to make more informed decisions.